In their first action as a network, informed by the policy statements of the Presbyterian Church(U.S.A.), participants composed, faxed, emailed and hand delivered letters to the governors of 48 states, challenging them to resist prison privatization. Future plans include increasing local membership and resource development for congregations who feel a call to respond to this national crisis. "Ending the mass incarceration crisis and putting people before profit." Welcome to PHEWA's newest network! 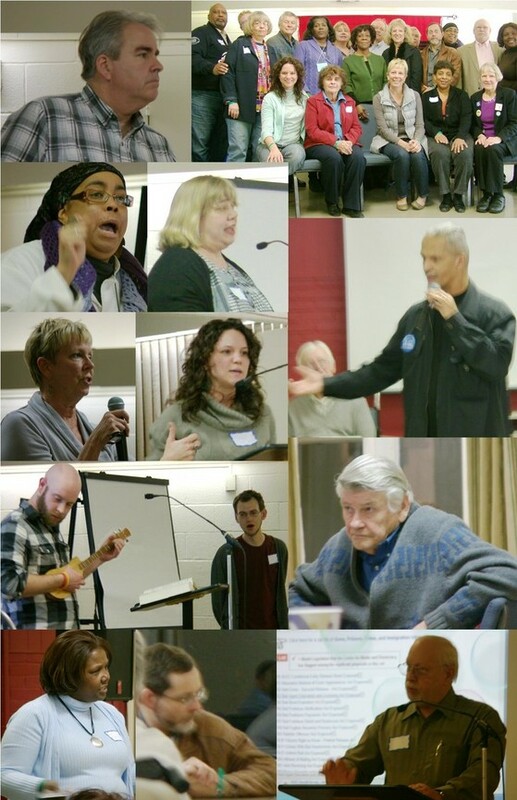 In February, 2012, 35 people came together at Stony Point Conference Center in New York to engage in an intensive three day process of personal sharing, education, asset mapping and future visioning. By the end of their time together, this group of individuals from twelve states and every region of the country had coalesced into the beginnings of a network, united in the goal of transforming our nation's broken criminal justice system. This gathering was the result of General Assembly action in 2010 instructing PHEWA to hold a consultation with the goal of creating a new PHEWA network focused on criminal justice issues. For more information about this gathering, go to Unbound: An Interactive Journal of Christian Social Justice to read Patrick Heery's account., or to the PC(USA) website for Jim Nedelka's report.